Has Political Correctness made us forget our history? Has Political Correctness (PC) and the thought police waged a battle for your mind? Has PC thought influenced your beliefs allowed us to forget our history and deeply held tradition notions? Like George Orwell’s Newspeak, non PC language has become forbidden by law, and transgressors should be punished. There is a Natural Remedy for Just About Everything. If you are suffering from virtually any disease or condition, there is a natural remedy that can help heal you. In many parts of the world, herbal remedies have been used for thousands of years to cure disease and improve quality of life. African medicine , Alternative, Acupuncture, Atkins diet, Ayurveda, biofeedback, Biology-based practices, Breathing Exercises, Chinese Herbal Medicine, Chiropractic, Dance Therapy, Folk Medicine, Greek Medicine, Herbalism, Herbal medicine, Herbal treatments, Homeopathy, Massage Therapy, meditation, Mind-body medicine, Music Therapy, Naturopathic, osteopathic manipulation, Osteopathy, palliative care, self-healing, Shamanism Traditions, Self-applied health enhancement methods (SAHEM), Traditional Chinese medicine (TCM) and many others. I will be giving a brief summary of just some of the most popular in later posts. This will serve as an introduction to the concept of Alternate Medicine. With the birth of modern medicine, we in America have a healing tradition that has been forbidden and now is totally forgotten. 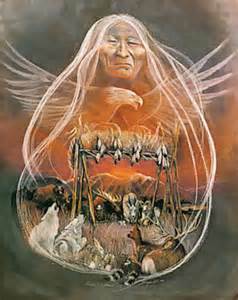 This tradition is that of the Native American tribal elder, herbalist, healer, Medicine Man, Shamanism, spirit communicators or Witch Doctor. 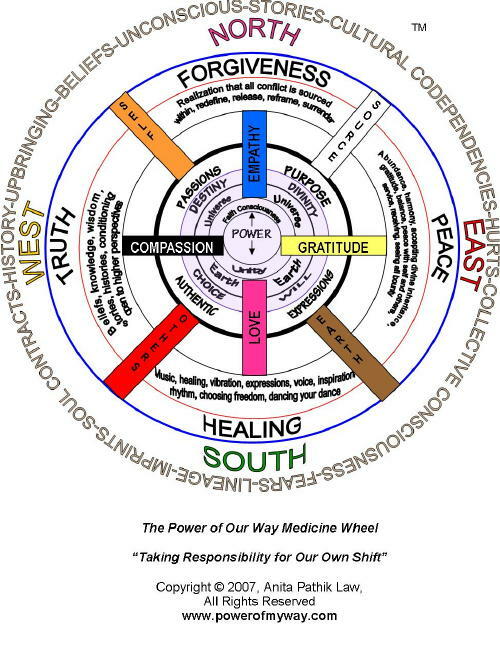 This forgotten tradition is represented by the Medicine wheel pictured below. Click the link to go to the site the wheel has some interesting meanings. Maybe we have missed something – in our hurry for the latest scientific grand solution we have forgotten our past. If you have ever been sick, I mean really sick – You can’t even get out of bed you are so sick – suddenly you see life very differently. You ask your doctor … What happened to me…? He just gives you more pills or schedules you for a Cat Scan or lower GI. But then says “your Insurance won’t pay for it”. I didn’t need a Cat Scan to learn that I was sick due to my life style what I ate. Western medicine has created the “Superbug” can our immune system be restored? According to recent articles in the news; overuse of antibiotics, have created what some scientist are calling “super bugs”. A Super bug is; bacteria that has developed resistance to all known antibiotics. The Germ theory was created when Alexander Fleming discovered the first antibiotic penicillin in 1928. The widely accepted germ theory of disease has many fundamental flaws. Antibiotics kill both the good and the bad bacteria resulting in weakening or destroying the human immune system. While scientist are trying to find new drugs or a solution to this problem, Holistic and alternate medicine is promoting the use of fermentation, nutrition and using probiotic to restore the human body’s immune system. It didn’t take a day to get sick and it will not take a day to get well. It will take time there isn’t a magic bullet or red pill that will and make it all better tomorrow. The one thing I have learned among many others is that while getting well I have learned to STOP and Listen. You can almost hear the ancients. There in that bird, or in that cloud. They are all around you STOP and LISTEN. But above all begin to listen to your own body – Its telling you something. This article will not address the human body’s immune system or how to handle the on-coming “Super bugs” battle, but a LOOK SEE at some of our traditional systems of the past and the wisdom of our elders. 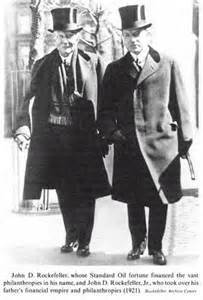 During and after the Progressive Era Woodrow Wilson and World War I, America’s traditionally doctor practiced Holistic medicine or natural medicine. That would all change with the Rockefeller investment money. In 1903, John D. Rockefeller Jr. the son of the famous Oil baron established an organization that would promote American Education in all levels everywhere in the country. He provided financial support to established eastern institutions as Columbia, Brown, Bryn Mawr, Harvard, Wellesley, Yale, and Vassar. This program revolutionized the study of medicine in the United States. Traditional Holistic Medicine would become scientific and profitable. The typical Medicine man, or Witch Doctor would be a thing of the past and a new huge money-maker would be established. In 1924 Fisbein was appointed the head of the American Medical Association (AMA). Fisbein created is guidelines and a Seal-of-Acceptance allowing “Only “regulars” to join this new, prestigious organization, which excluded herbalist, homeopathy and Indian (Witch) doctors. Each civilization across the world and across the span of thousands and thousands of years also has their deep and rich ancient traditions. Diagnosis is reached through spiritual means and a treatment is prescribed, usually consisting of an herbal remedy that has not only healing abilities, but symbolic and spiritual significance. 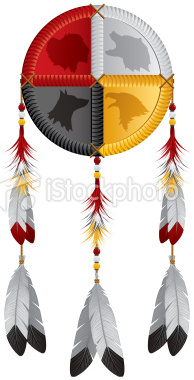 Currently there are many Native American educational services, healing practitioners, metaphysical groups and Shamanism workshops all over the country. These practices have been adopted from traditions that originated from various Native American tribes. History indicates that each tribe would have one or more elders who were groomed in the healing arts. These individuals would serve as herbalists, healers, and spirit communicators. 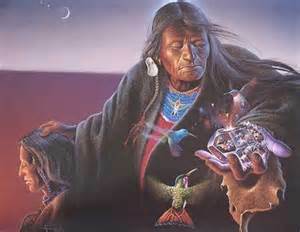 The duties and types of healing arts and spiritual ceremonies performed would naturally vary from tribe to tribe. When I first entered the term “Witch Doctor” in a search engine I received the link to this movie. 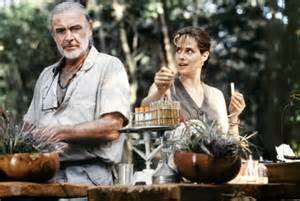 A pharmaceutical company sends biochemist Dr. Rae Crane into the Amazonian rainforest to locate researcher Robert Campbell after his wife and research partner abandon him. Medicine Man is a 1992 American film directed by John McTiernan. The film stars Sean Connery and Lorraine Bracco. It also features a noteworthy score by composer Jerry Goldsmith. At least it is nice to know that someone knew the tradition of the word even if you have to go back to 1992. Well, Thank Your from my heart. « Nothing Cowardly about the Yellow Spice Turmeric.